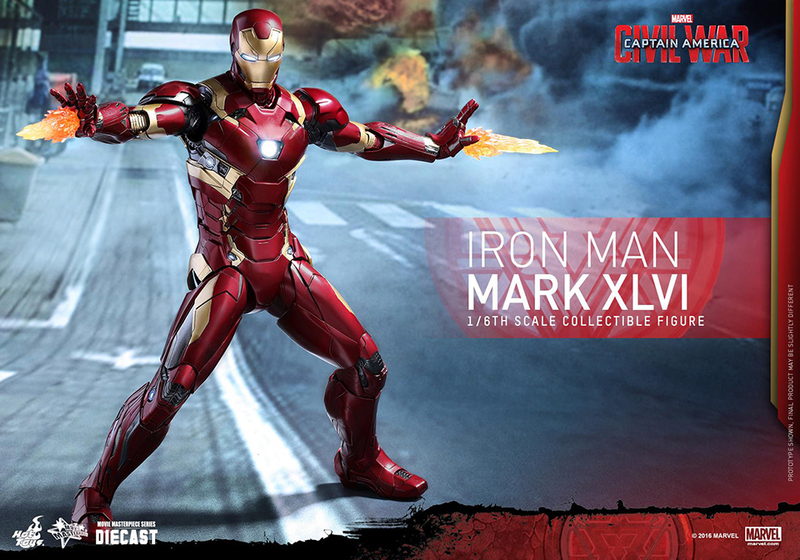 Hot Toys’ favorite character gets another Movie Masterpiece figure, this time based on Iron Man’s Mk. 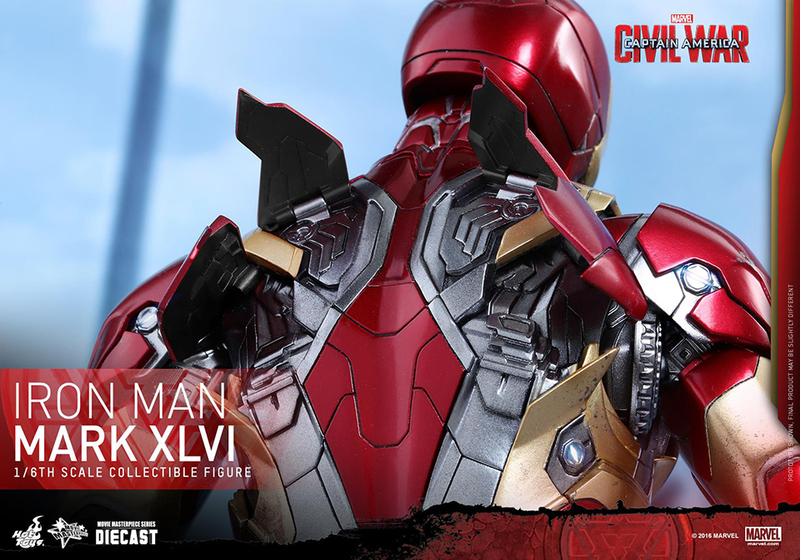 46 armor from Captain America: Civil War. 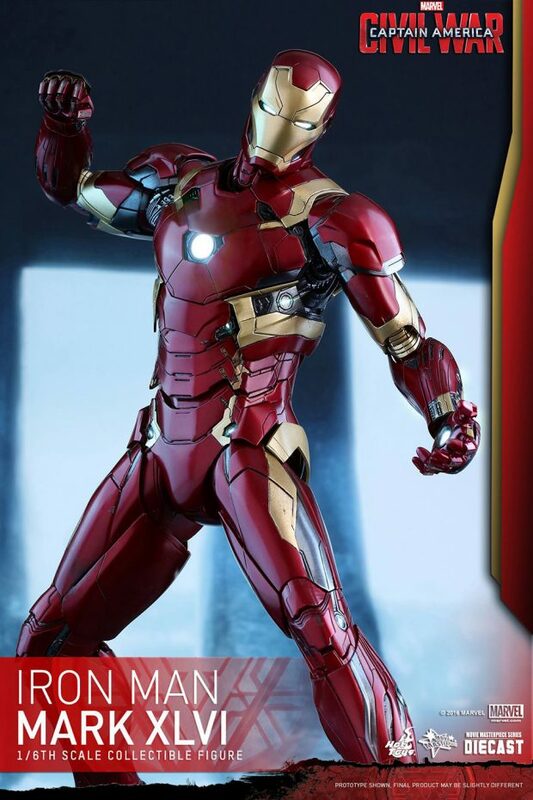 The action figure is dotted with 28 LEDs, although I’m not sure if that includes the LEDs that are in four of its eight alternate hands. 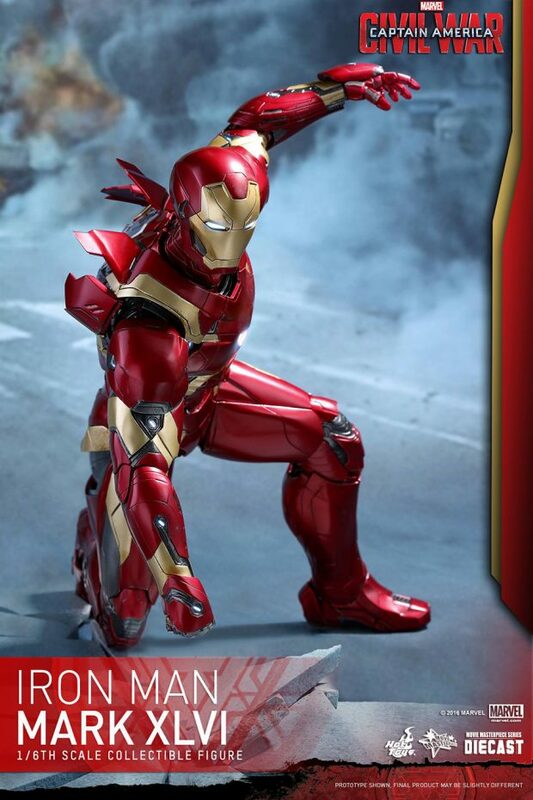 As with previous releases, the action figure has a removable chest armor and articulated air flaps. 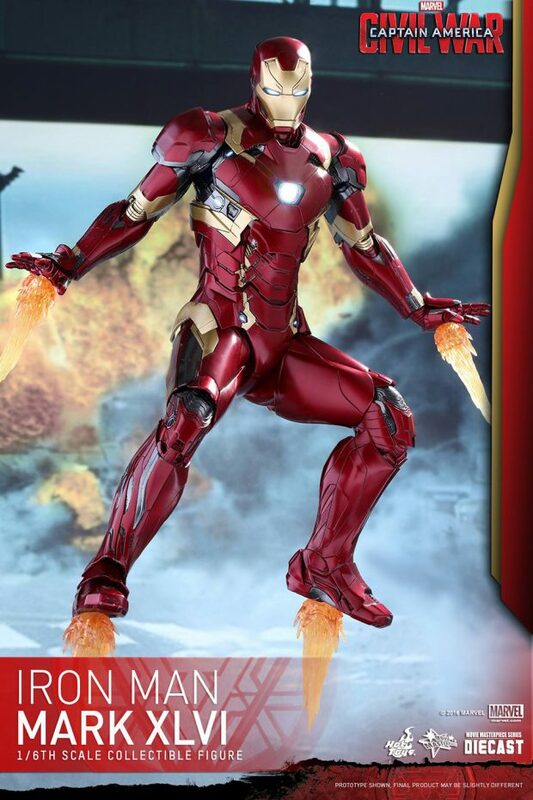 It also has thrust fire effects for his feet; a second pair of thrust fire effects are on a pair of alternate hands. 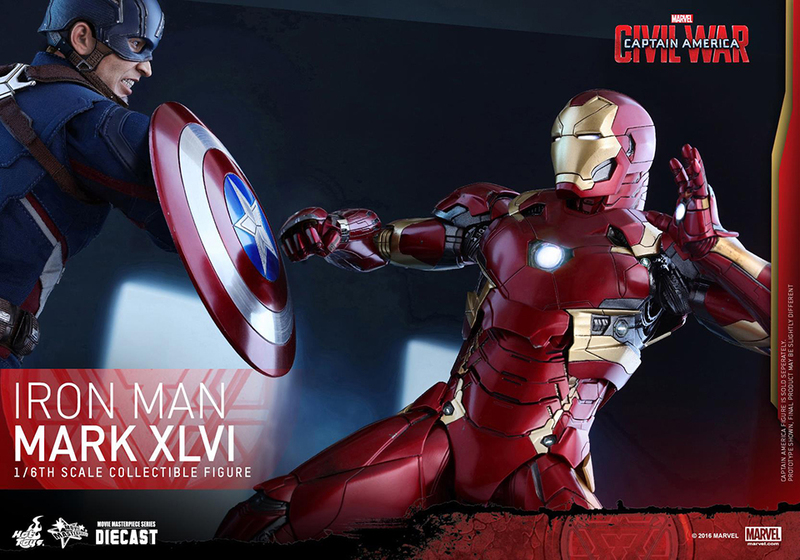 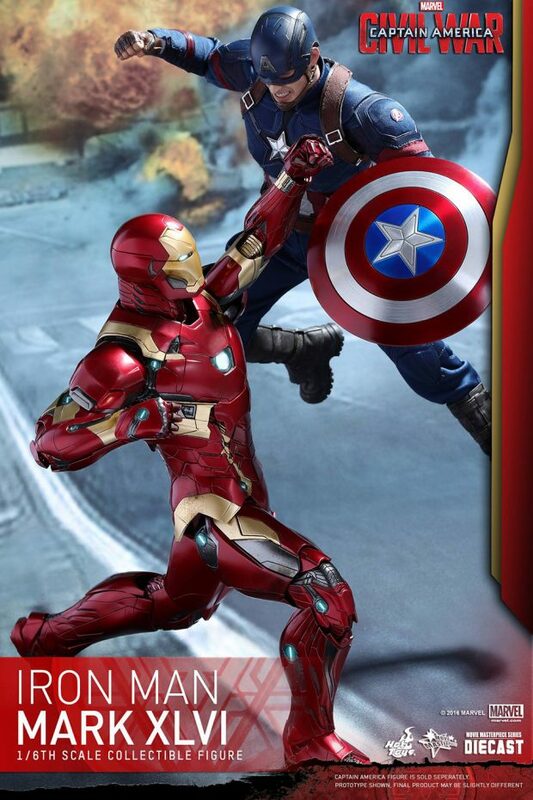 It also comes with a sixth scale Captain America helmet, which the two Civil War Cap figures revealed so far don’t have. 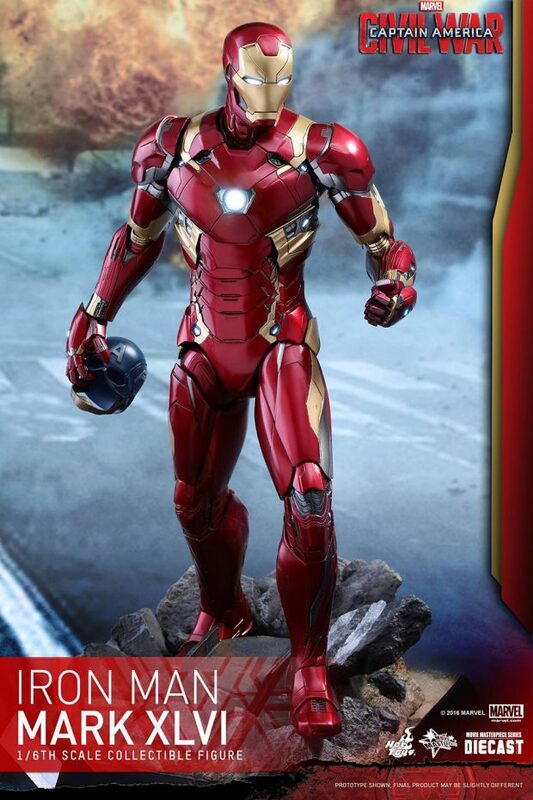 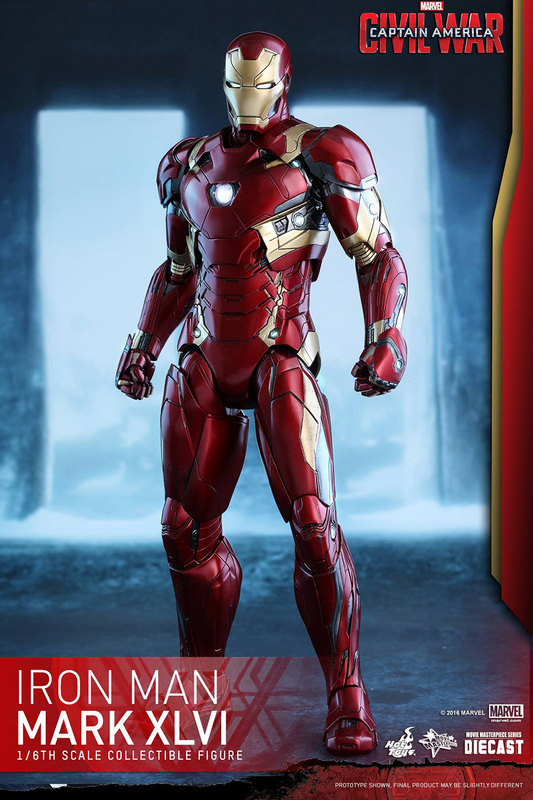 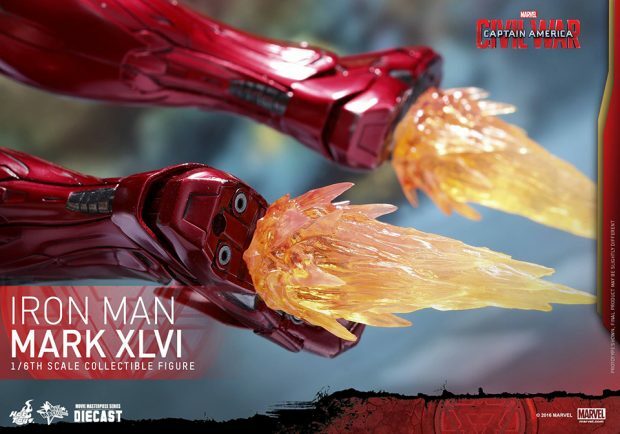 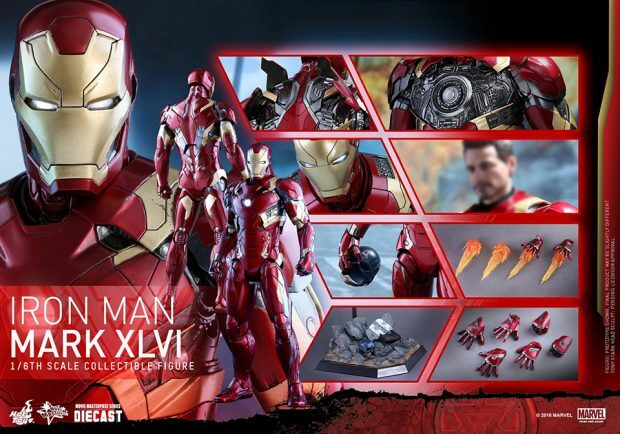 It’s not shown in these images, but the figure also has alternate shoulders with missiles and a new Robert Downey Jr. head, which apparently Hot Toys is not yet ready to show. 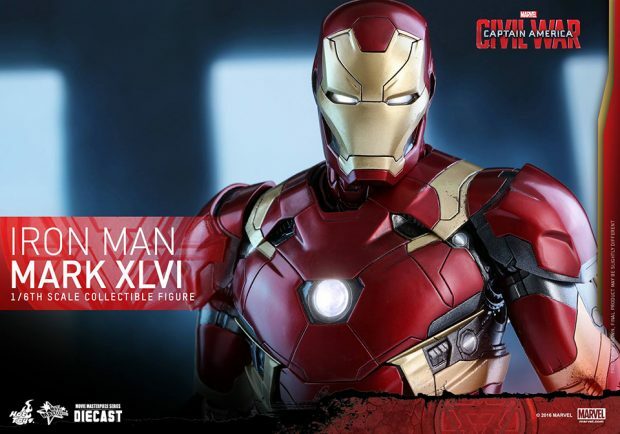 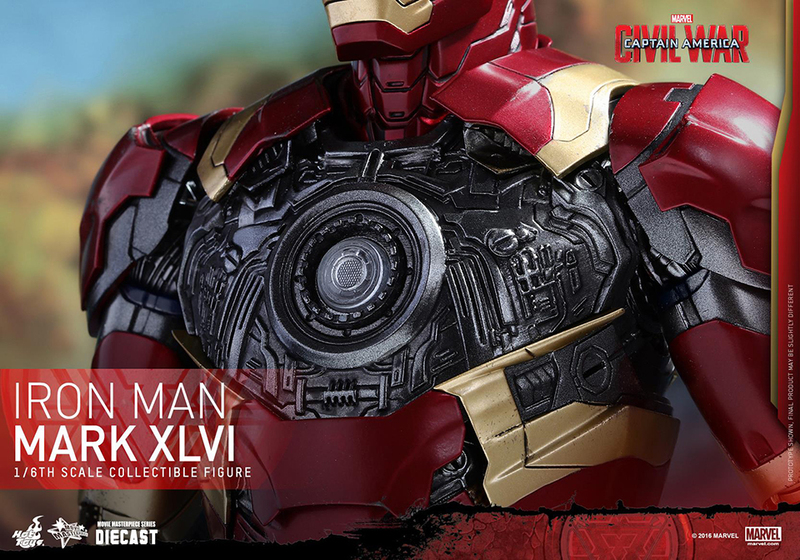 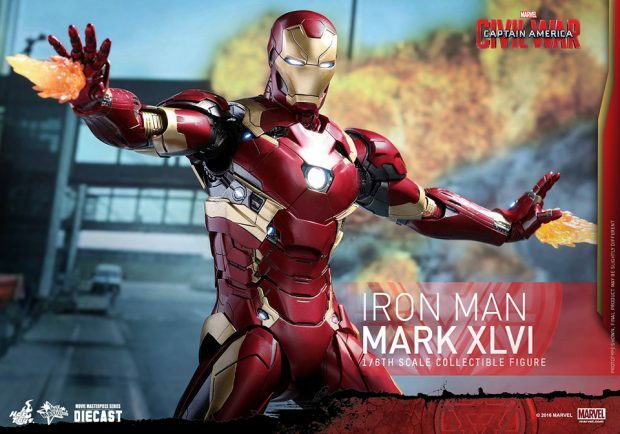 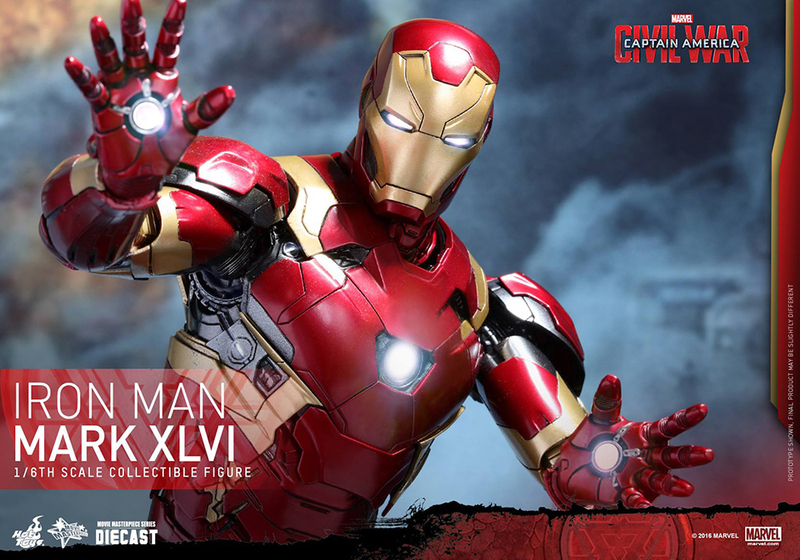 It’s already available for pre-order from BigBadToyStore and other stores for $345 (USD), but with the delayed reveal of the battle damaged Cap figure some collectors are worried that Hot Toys might do the same with Iron Man.